Order pizza at Freddy’s – get death delivered! A feast of fear based on the smash-hit video game. 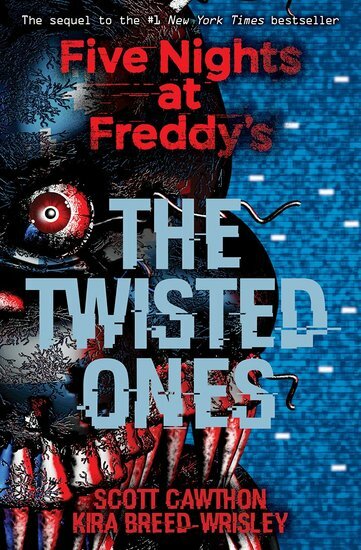 A year ago, a nightmare came to life at Freddy Fazbear’s Pizza, the restaurant that Charlie’s father once owned. A masked murderer went on the rampage, flanked by four evil animatronic puppets. How will Charlie ever forget that terrible night? Then dead bodies start turning up near Charlie’s school; bodies with horribly familiar wounds. What if her ordeal – and her father’s freaky creations – aren’t in the past, after all? HL680L Lexiles are the global standard in reading assessment. They are unique as they are able to measure a child and a book on the same scale – ensuring the right book gets to the right child at the right time.